These heart labels can be used for many different purposes. They look great on gifts! All of our custom labels can be used either as tags or labels. We often have two versions of a label, with or without a hole. 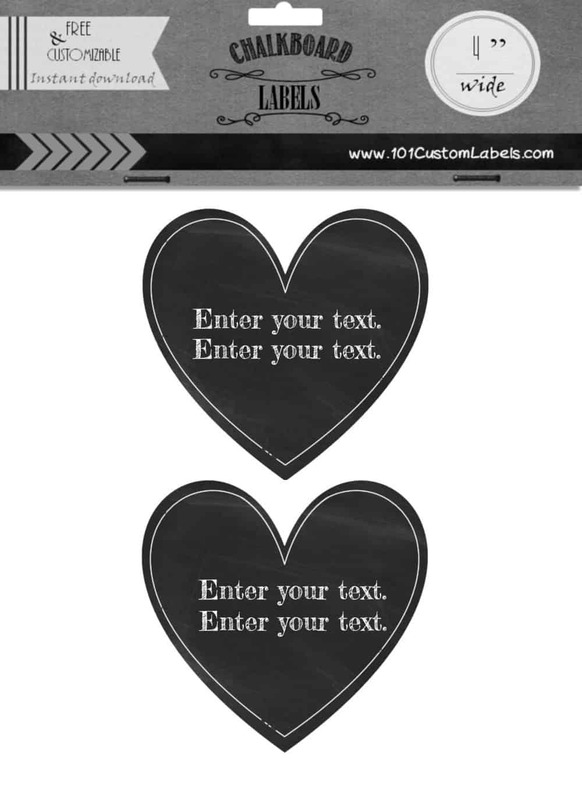 You can punch a hole in any label to create a tag. 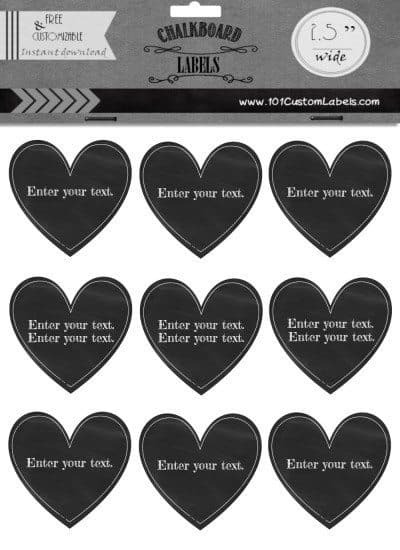 There are many chalkboard labels on this site. All of the labels have a chalkboard background. If you prefer another color then look around the site for other options. 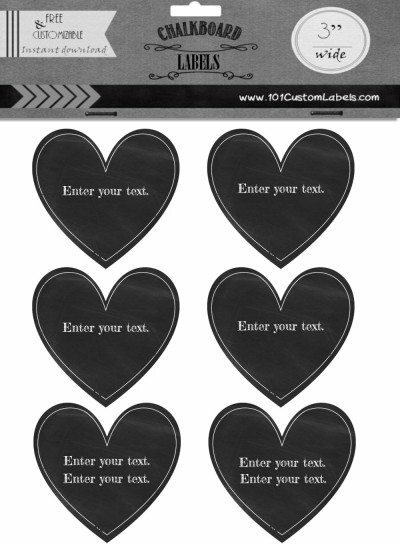 We offer hundreds of free custom labels in all colors, shapes and sizes. Do you need to print the labels on sticker paper? 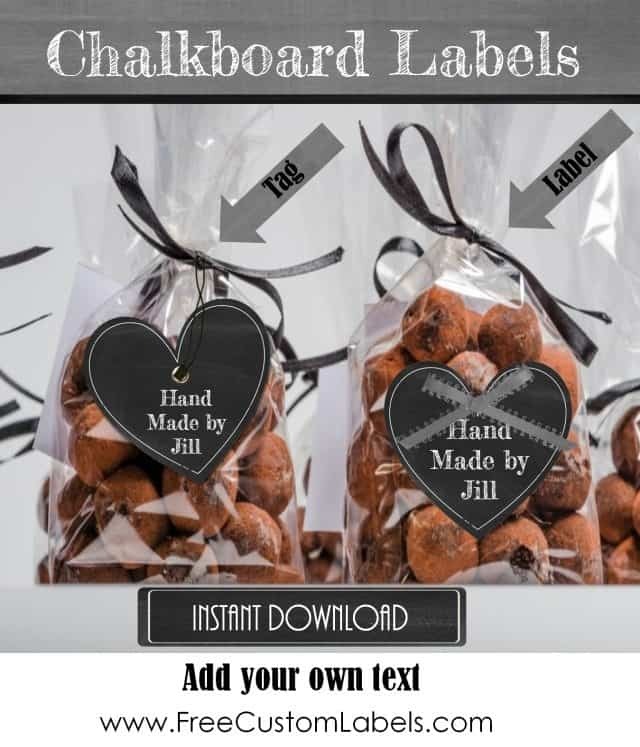 Printing on sticker paper makes it easier to adhere the labels it is more expensive than making your own labels. You can use regular printer paper and adhere the labels with paper glue. If you need the labels to stick for a long period of time then it is better to use sticker paper than to glue regular computer paper. 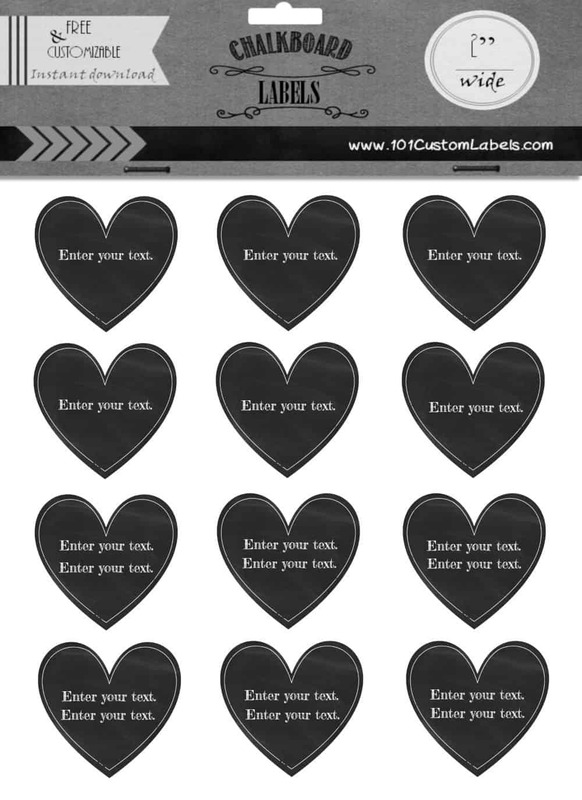 How do you cut out the heart labels? You can either just cut them out with a scissors or use a heart shaped craft punch. If you only want to make a few labels then there is no reason to invest in a craft punch and you can really cut them out yourself. It only takes a few minutes to cut out an entire page of labels.